The book covers both theoretical approaches and practical solutions in the processes for aligning enterprise, systems, and software architectures. This book aims to provide architects and researchers with a clear understanding of all three types of architectures. Foreword by Paul Clements, SEI CMU: Since the late 1980s, architecture research has emerged as the principled study of the large-scale structures of systems. From its roots in qualitative descriptions of empirically observed useful system organizations, architecture has matured to encompass broad explorations of notations, tools, and analysis techniques. Whereas initially the research area interpreted practice, it now offers concrete guidance for complex design and development. It has made the transition from basic research to an essential element of design and construction, So began a retrospective paper that Mary Shaw and I wrote for IEEE Software entitled The Golden Age of Software Architecture [Shaw 06]. I took the liberty of removing six instances of the word software and one system, and I think the result makes a suitable beginning for this book. Guest editor for a special issue on the Future of Software Engineering IN and FOR the Cloud. Systems and Software, ELSEVIER Science. Guest editor for a special issue on Software Architecture and Mobility. Systems and Software, ELSEVIER Science, Volume 83, Issue 6 (2010). G. Tziakouris, R. Bahsoon and M.A.Babar(2018). A Survey on Self-Adaptive Security for Large Scale Open Environments, Accepted, ACM Computing Surveys. T. Chen, K. Li, R. Bahsoon and X. Yao(2018). FEMOSAA: Feature Guided and Knee Driven Multi-Objective Optimization for Self-Adaptive Software. ACM Transactions on Software Engineering and Methodology, in press, 2018. T. Chen, R. Bahsoon and X. Yao(2018). A Survey and Taxonomy of Self-Aware and Self-Adaptive Cloud Autoscaling Systems. ACM Computing Surveys, in press, 2018. Alexandros Evangelidis, David Parker and Rami Bahsoon(2018). Performance Modelling and Verification of Cloud-based Auto-Scaling Policies. Future Generation Computer Systems, Elsevier. To appear. 2018. C. MeraGomez, F. Ramirez, R. Bahsoon, R. Buyya(2018). A Multi-Agent Elasticity Management Based On Multi-Tenant Debt Exchanges, In Proceedings of the 12th IEEE International Conference on Self-Adaptive and Self-Organizing Systems (SASO 2018), Trento, Italy. Mashel Albarak and Rami Bahsoon(2018). Prioritizing Technical Debt in Database Normalization Using Portfolio Theory and Data Quality Metrics. The International Conference on Technical Debt (TechDebt 2018), in conjunction with the 40th International Conference on Software Engineering(ICSE), ACM. Gothenburg, Sweden. M. Albarak, M. Alrazgan, R. Bahsoon(2018). Identifying Technical Debt in Database Normalization Using Association Rule Mining. Software Engineering and Technical Debt Track of the 44th Euromicro Conference on Software Engineering and Advanced Applications (SEAA 2018), IEEE press. J. Lee and R. Bahsoon(2018). A Debt-Aware Software Product Lines Engineering Using Portfolio Theory, (Book Chapter) In: Software Engineering for Variability-Intensive Systems, CRC Press. Rajkumar Buyya, Satish Narayana Srirama, Giuliano Casale, Rodrigo Calheiros, Yogesh Simmhan, Blesson Varghese, Erol Gelenbe, Bahman Javadi, Luis Miguel Vaquero, Marco AS Netto, Adel Nadjaran Toosi, Maria Alejandra Rodriguez, Ignacio M Llorente, Sabrina De Capitani di Vimercati, Pierangela Samarati, Dejan Milojicic, Carlos Varela, Rami Bahsoon, Marcos Dias de Assuncao, Omer Rana, Wanlei Zhou, Hai Jin, Wolfgang Gentzsch, Albert Zomaya, Haiying Shen(2018). A Manifesto for Future Generation Cloud Computing: Research Directions for the Next Decade, Accepted, ACM Computing Surveys. S. Kumar, R.Bahsoon, T. Chen, K. Li and R. Buyya. Multi-Tenant Cloud Service Composition using Evolutionary Optimization. In proceedings of the 24th IEEE International Conference on Parallel and Distributed Systems (ICPADS 2018), Singapore. 2018. T. Chen and R. Bahsoon(2017). Self-Adaptive and Online QoS Modeling for Cloud-Based Software Services. IEEE Transactions on Software Engineering, 43(5): 453-475. T. Chen and R. Bahsoon(2017). Self-Adaptive Trade-off Decision Making for Autoscaling Cloud-Based Services. IEEE Transactions on Services Computing, 10(4): 618-632 (2017). C. MeraGomez, F. Ramirez, R. Bahsoon, R. Buyya(2017). A Debt-Aware Learning Approach for Resource Adaptations in Cloud Elasticity Management. The 15th International Conference on Service-Oriented Computing(ICSOC)[Full paper, Selection rate 18%], Malaga, Spain. N.M. Alruhaily, R. Bahsoon, T. Chothia, C. MeraGomez(2017). An Economics-Driven Approach for Detecting Malware in the Cloud via Introspection. The 15th International Conference on Service-Oriented Computing(ICSOC), Malaga, Spain. R. Bahsoon, N. Ali, M. Heisel, B. Maxim, I. Mistrik(2017). 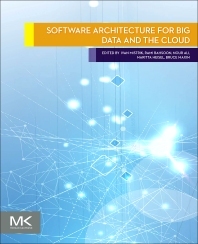 Software Architecture for Cloud and BigData: An Open Quest for the Architecturally Significant Requirements (Introduction). In Software Architecture for Big Data and the Cloud, Morgan Kaufmann, 2017. T. Chen and R. Bahsoon(2017). Bridging Ecology and Cloud: Transposing Ecological Prespective to Enable Better Cloud Autoscaling, in the book of Software Architecture for Big Data and the Cloud, Elsevier, 2017. S. Hassan, N. Ali and R. Bahsoon(2017). Microservice Ambients: An Architectural Meta-modelling Approach for Microservice Granularity. In Proc. IEEE International Conference on Software Architecture (ICSA 2017)[previously known as WICSA], IEEE, April 2017. (Selection rate 22% full papers). X.N. Shen, L. L. Minku, R. Bahsoon, and X. Yao (2016). Dynamic Software Project Scheduling through a Proactive-rescheduling Method. IEEE Transactions on Software Engineering, (42) (7): 658-686(2016)[PDF]. doi: 10.1109/TSE.2015.2512266. F. Faniyi and R. Bahsoon(2016). A Systematic Review of Service Level Management in Cloud. ACM Computing Surveys. C. MeraGomez, R. Bahsoon and R. Buyya(2016). Elasticity Debt: A Debt-Aware Approach to Reason About Elasticity Decisions in the Cloud. The 9th IEEE/ACM International Conference on Utility and Cloud Computing (UCC2016) (Full paper acceptance rate 18%), Shanghai, China. T. Chen, F. Faniyi, and R. Bahsoon(2016). Design Patterns and Primitives: Introduction of Components and Patterns for Self-Aware Computing Systems, in the book of Self-Aware Computing Systems, Springer, 2016. B. Ojameruaye, R. Bahsoon and L. Duboc(2016). Sustainability Debt: A portfolio-based approach for evaluating sustainability requirements in architectures. The 38th International Conference on Software Engineering (accepted - Software Engineering in Society Track, Selection ratio 26%) Austin, TX, May 14 - 22, 2016. G. Tziakouris, R. Bahsoon, T. Chothia and R. Buyya(2016). Thwarting Market Specific Attacks In Cloud. The 9th IEEE International Conference on Cloud Computing, IEEE Cloud (Research Track acceptance rate 15%), June 27 - July 2, 2016, San Francisco, USA. F. Farahnakian, R. Bahsoon, P. Liljeberg and T. Pahikkala(2016). Self-adaptive Resource Management System in IaaS Clouds. The 9th IEEE International Conference on Cloud Computing, IEEE Cloud (Application Track acceptance rate 16.7%), June 27 - July 2, 2016, San Francisco, USA. S. Hassan and R. Bahsoon(2016). Microservices and Their Design Trade-offs: A Self-Adaptive Roadmap. The 13th IEEE International Conference on Services Computing (SCC) June 27 - July 2, 2016, San Francisco, USA. G.Tziakouris, M. Zinonos, T. Chothia, R. Bahsoon(2016). Asset-Centric Security-Aware Service Selection: Cloud Storage and App Markets. 5th IEEE International Congress on Big Data, June 27 - July 2, 2016, San Francisco, USA. D. Sobhy, R. Bahsoon, L. Minku and R. Kazman(2016). Diversifying Software Architecture for Sustainability: A Value-based Perspective. The 10th European Conference on Software Architecture (ECSA), Copenhagen, Denmark. Springer. M. Albarak and R. Bahsoon(2016). Database Design Debts through Examining Schema Evolution. In Managing Technical Debt 2016, in Proceedings of the 32nd IEEE International Conference on Software Maintenance and Evolution (ICSME), Oct 2-10, Raleigh, North Carolina, USA. M. Salama, A. Shawish and R. Bahsoon(2016).Dynamic Modelling of Tactics Impact on the Stability of Self-aware Cloud Architectures. The 9th IEEE International Conference on Cloud Computing, IEEE Cloud, June 27 - July 2, 2016, San Francisco, USA. M. Salama and R. Bahsoon(2016). A Taxonomy for Architectural Stability. The 31st ACM Symposium on Applied Computing (SAC), Pisa, Italy. M. Salama, R. Bahsoon and N. Bencomo(2016). Managing Trade-offs in Self-Adaptive Software Architectures: A Systematic Mapping Study. Book Chapter Managing Trade-offs in Adaptable Software Architectures (Elsevier Science). L.J. Zhang and R. Bahsoon(2016). The 12th IEEE Services 2015 (editors). ISBN 978-1-14673-7275-6 June 27 - July 2, 2016, San Francisco, USA. R. Bahsoon, I. Mistrik, N. Ali, T. S. Mohan (2015). The IEEE Services Emerging Technology Track on the Future of Software Engineering for/in the Cloud (6th version). In conjunction with IEEE Cloud 2016, ICWS 2016, and SCC2016, MS2016 and Big Data 2016, IEEE Services 2016, June 27 - July 2, 2016, San Francisco, USA. N. Ali, R. Bahsoon, and I. Gorton (2015).The IEEE Services Emerging Technology Track on Engineering Mobile Service Oriented Systems, EMSOS(4th version). In conjunction with IEEE Cloud 2016, ICWS 2016, and SCC2016, MS2016 and Big Data 2016, IEEE Services 2016, June 27 - July 2, 2016, San Francisco, USA. R. Bahsoon, S. Reiff-Marganiec, L. Zhao(2015). Data Science Special Track on Big Data Software Engineering for Cloud, Edge Computing and Mobility: In conjunction with IEEE Cloud 2016, ICWS 2016, and SCC2016, MS2016 and Big Data 2016, IEEE Services 2016, June 27 - July 2, 2016, San Francisco, USA. F. Alrebeish and R. Bahsoon(2015). Implementing Design Diversity Using Portfolio Thinking to Dynamically and Adaptively Manage the Allocation of Web Services in the Cloud. IEEE Transactions on Cloud Computing. F. Alrebeish and R. Bahsoon(2015). Stabilising Performance of Cloud Services Composition Using Portfolio Theory. Full Paper in the Research Track. The 22nd IEEE International Conference on Web Services (ICWS) June 27 - July 2, 2015, New York, USA (Selection rate 20%). A. Elhabbash, R. Bahsoon, P. Tino and P. R. Lewis (2015). Self-adaptive Volunteered Services Composition through Stimulus- and Time-awareness. Full Paper in the Research Track. The 22nd IEEE International Conference on Web Services (ICWS) June 27 - July 2, 2015, New York, USA (Selection rate 20%). M. Salama and R. Bahsoon(2015). Quality-driven Architectural Patterns for Self-aware Cloud-based Software. Accepted as Full Paper. The 8th IEEE International Conference on Cloud Computing, IEEE Cloud 2015 June 27 - July 2, 2015, New York, USA (Selection Rate is 14%). S. Hassan, N. Bencomo and R. Bahsoon(2015). Minimize Nasty Surprises with Better Informed Decision-Making in Self-Adaptive Systems. Accepted as full paper, The10th International Symposium on Software Engineering for Adaptive and Self-Managing Systems (SEAMS), in conjunction with the 37th International Conference on Software Engineering (ICSE), Florence, Italy, ACM press. (Selection rate 28%). B. Ojameruaye and R. Bahsoon(2015). ** A Risk-Aware Framework for Compliance Goal-Obstacle Analysis**. Requirements Engineering Track, the 29th ACM Symposium On Applied Computing, Salamanca, Spain, ACM Press. G. Skourletopoulos, R. Bahsoon, C. X. Mavromoustakis and G. Mastorakis(2015). The Technical Debt in Cloud Software Engineering: A Prediction-Based and Quantification Approach. Book Chapter. Resource Management of Mobile Cloud Computing Networks and Environment. B. Ojameruaye and R. Bahsoon(2015). Sustainability Debt: An Economics driven approach for Using Technical Debt Analysis in Decision Making for Sustainable Requirements. CSR-15-03 Technical Report. School of Computer Science, University of Birmingham, UK. B. Ojameruaye and R. Bahsoon(2015). A portfolio-based approach for evaluating sustainability requirements and their debts in architectures. CSR-15-02 Technical Report. School of Computer Science, University of Birmingham, UK. R. Bahsoon, I. Mistrik, N. Ali, T. S. Mohan (2015). The IEEE Services Visionary Track on the Future of Software Engineering for/in the Cloud (5th version). In conjunction with IEEE Cloud 2015, ICWS 2015, and SCC2015, MS2015 and Big Data 2015, IEEE Services 2015, NY, USA. N. Ali, R. Bahsoon, and I. Gorton (2015). The IEEE Services Visionary Track on Engineering Mobile Service Oriented Systems, EMSOS(3rd version). In conjunction with IEEE Cloud 2015, ICWS 2015, and SCC2015, MS2015 and Big Data 2015, IEEE Services 2015, NY, USA. S. Reiff-Marganiec, R. Bahsoon, L. Zhao(2015). Data Science Special Track on Big Data Software Engineering for Cloud and Mobile Services: Summary. In conjunction with IEEE Cloud 2015, ICWS 2015, and SCC2015, MS2015 and Big Data 2015, IEEE Services 2015, NY, USA. L.J. Zhang and R. Bahsoon(2015). The 11th IEEE Services 2015 (editors). ISBN 978-1-14673-7275-6 NY, USA. The IEEE Services Visionary Track on Internet of Things(IoT)(1st version). In conjunction with IEEE Cloud 2015, ICWS 2015, and SCC2015, MS2015 and Big Data 2015, IEEE Services 2015, NY, USA. T. Chen and R. Bahsoon(2014). Symbiotic and Sensitivity-Aware Architecture for Globally-Optimal Benefits in Self-Adaptive Cloud. In the 9th International Symposium on Software Engineering for Adaptive and Self-Managing Systems (SEAMS), in conjunction with the 36th International Conference on Software Engineering (ICSE), India ACM press. [PDF] (Selection rate 22%). S. Zardari, R. Bahsoon and A. Ekart(2014). Cloud Adoption: Prioritizing Obstacles and Obstacles Resolution Tactics Using AHP (Accepted for publication), Requirements Engineering Track, the 29th ACM Symposium On Applied Computing, Gyeongju, Korea March 24 - 28, 2014 (Selection rate 24%). M. I. Hassan and R. Bahsoon(2014). Green as-a-Service (GaaS) for Cloud Service Provision Operation. Green Aspects of Software Engineering track, The 29th ACM Symposium On Applied Computing, Gyeongju, Korea March 24 - 28, 2014 (Selection rate 24%). G. Skourletopoulos, R. Bahsoon, C. Mavromoustakis, G. Mastorakis, E. Pallis(2014). Predicting and Quantifying the Technical Debt in Cloud Software Engineering. The 19th IEEE International Workshop on Computer-Aided Modeling Analysis and Design of Communication Links and Networks (CAMAD), Dec 1-3 2014. Athens, Greece. R. Bahsoon, I. Mistrik, N. Ali, T. S. Mohan (2014). The Fourth IEEE International Workshop on the Future of Software Engineering IN and FOR the Cloud, In conjunction with IEEE Cloud 2014, ICWS 2014, and SCC2014, MS2014 and Big Data 2014, IEEE Services 2014, Anchorage, Alaska, USA. 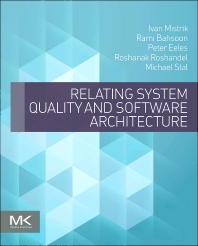 R. Bahsoon, I. Mistrik, N. Ali, T. S. Mohan and N. Medvidovic (Editors)(2014), The Future of Software Engineering IN and FOR the Cloud, Journal of Systems and Software, Elsevier. N. Ali, R. Bahsoon, and I. Gorton (2014). The Second IEEE International Workshop on Engineering Mobile Service Oriented Systems (EMSOS), In conjunction with IEEE Cloud 2014, ICWS 2014, and SCC2014, MS2014 and Big Data 2014, IEEE Services 2014, Anchorage, Alaska, USA. F. Faniyi and R. Bahsoon(2014). Economics-driven Software Architecting for Cloud. In the edited book on Economics-driven Software Architecture. Elsevier, to appear. F. Faniyi, R. Bahsoon, X. Yao and P. R. Lewis (2014). Architecting Self-aware Software Systems, (Accepted for publication), The 11th Working IEEE/IFIP Conference on Software Architecture (WICSA2014), Sydney, Australia 7-11 April 2014. G. Tziakouris, C. J. Mera Gomez, R. Bahsoon(2014). Securing Cloud Users at Runtime via a Market Mechanism: A Case for Federated Identity (Accepted). The 16th IEEE International Conference on High Performance Computing and Communications, Paris, France, IEEE Press. A. Elhabbash, R. Bahsoon and P. Tino(2014). Towards Self-aware Service Composition. The 16th IEEE International Conference on High Performance Computing and Communications, Paris, France, August 20-22 IEEE Press. P. R. Lewis, F. Faniyi, R. Bahsoon and X. Yao (2013/2014). Markets and Clouds: Adaptive and Resilient Computational Resource Allocation inspired by Economics. Book Chapter. In Niranjan Suri and Giacomo Cabri (Eds. ), Adaptive, Dynamic, and Resilient Systems. Taylor & Francis, to appear. S. Al Azzani, A. El-Natour and R. Bahsoon(2013). Architecture-Centric Testing for Security: An Agile Perspective. To appear as a Book Chapter in AGILE SOFTWARE ARCHITECTURE: ALIGNING AGILE PROCESSES AND SOFTWARE ARCHITECTURES, edited by M. A. Babar, A. Brown, K. Koskimies and I. Mistrik. Elsevier. T. Becker, A. Agne, P. R. Lewis, R. Bahsoon, F. Faniyi, L. Esterle, A. Keller, A. Chandra, A. R. Jensenius and S. C. Stilkerich. EPiCS: Engineering Proprioception in Computing Systems. In Proceedings of the 10th IEEE/IFIP Conference on Embedded and Ubiquitous Computing. F. Faniyi, R. Bahsoon(2012). Self-Managing SLA Compliance in Cloud Architectures: A Market-based Approach. In the Proceedings of the International ACM Sigsoft Symposium on Architecting Critical Systems, Bertinoro, Italy. ACM Press. C. Staite and R. Bahsoon(2012). Evaluating Identity Management Architectures. In the Proceedings of the International ACM Sigsoft Symposium on Architecting Critical Systems, Bertinoro, Italy. ACM Press. S. Zardari, F. Faniyi, R. Bahsoon(2012). Using Obstacles for Systematically Modelling, Analysing and Mitigating Risks in Cloud Adoption. 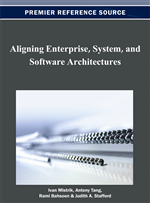 To appear in the book on Aligning Enterprise, System and Software Architectures. R. Bahsoon, I. Mistrick, T. S. Mohan, N. Ali(2011). The First EEE International Workshop on the Future of Software Engineering IN and FOR the Cloud. In conjunction with IEEE Cloud 2011, ICWS 2011, and SCC2011. Washington D.C., USA. F. Faniyi, R. Bahsoon, A. Evans, R. Kazman(2011). Evaluating Security Properties of Architectures in Unpredictable Environments: A Case for Cloud. In Proceedings of the 9th Working IEEE/IFIP Conference on Software Architecture (WICSA). Colorado, USA. IEEE Computer Society Press (Selection rate 33% full papers). F. Faniyi, R. Bahsoon(2011). Engineering Proprioception in SLA Management for Cloud Architectures. In the Proceedings of the 9th Working IEEE/IFIP Conference on Software Architecture (WICSA). Colorado, USA. IEEE Computer Society Press, workshop on Architecting Cloud Applications. S. Zardari and R. Bahsoon(2011). Cloud Adoption: A Goal-Oriented Requirements Engineering Approach. In the Proceedings of the IEEE/ACM International Workshop On Cloud Software Engineering, the ACM/IEEE 33rd International Conference on Software Engineering (ICSE), Hawaii, USA. ACM Press. T. Chen and R. Bahsoon(2011). Scalable Service-Oriented Replication in the Cloud. In the Proceedings of IEEE Cloud Conference 2011, Washington D.C., USA, IEEE CS Press. R. Bahsoon and W. Emmerich(2011). 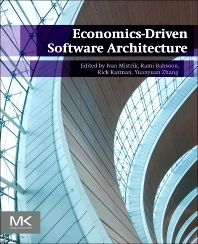 Economics-driven Architecting for Non-functional Requirements in the Presence of Middleware. In the book on Relating Software Requirements and Architectures (Ed.) Paris Avgeriou, John Grundy, Jon G. Hall, Patricia Lago, Ivan Mistrik, ISBN 978-3-642-21000-6, Springer. O. Onolaja, R. Bahsoon and G. Theodoropoulos(2011). Trust Dynamics: A Data-Driven Simulation Approach. In the Proceedings of the 5th IFIP WG 11.11 International Conference on Trust Management. Copenhagen, Denmark. Lecture Notes in Computer Science (LNCS), Springer. P. Lewis, A. Chandra, S. Parsons, E. Robinson, K. Glette, R. Bahsoon, J. Torresen and X. Yao(2011). A Survey of Self-Awareness and Its Application in Computing Systems. In Proceedings of the Fifth IEEE International Conference on Self-Adaptive and Self-Organizing Systems (SASO). Ann Arbor, Michigan, USA. IEEE Computer Society Press. R. Bahsoon(2011). Economics-driven Perspective to Search-based Software Engineering (Invited Talk). The 11th Crest Open Workshop on SBSE for Early Lifecyle Software Engineering. Crest, Software Systems Engineering group, University College London, UK. S. Parsons, R. Bahsoon, P. Lewis and X. Yao (2011). Towards a Better Understanding of Self-Awareness and Self-Expression within Software Systems. Technical report CSR-11-03, School of Computer Science, University of Birmingham, UK. V. Nallur and R. Bahsoon(2010). Adapting Applications Based on QA Requirements in the Cloud Using Market-Based Heuristics. In the Proceedings of ICSOC-ServiceWave 2010. Lecture Notes in Computer Science (LNCS), Springer. R. Bahsoon(2010). Dynamic Self-Optimization of Power and Dependability Requirements in Green Cloud Architectures. In the Proceedings of the 4th European Conference on Software Architecture (ECSA 2010), Copenhagen, Denmark. Lecture Notes in Computer Science (LNCS), Springer. R. Bahsoon(2010). Green Cloud: Towards A Framework for Self-Optimising Dependability Requirements and Power in Cloud Architectures. In the Second International Workshop on Software Research and Climate Change (WSRCC), in affiliation with ACM/IEEE the 32nd International Conference on Software Engineering (ICSE), Cape Town, South Africa. G. Lu, R. Bahsoon and X. Yao(2010). Applying Elementary Landscape Analysis to Search-Based Software Engineering. In the Proceedings of the 2nd International Symposium on Search Based Software Engineering. Benevento, Italy. G. Rangaraj, R. Bahsoon(2010). Green Software Architectures: A Market-Based Approach. In the Second International Workshop on Software Research and Climate Change (WSRCC), in affiliation with the ACM/IEEE 32nd International Conference on Software Engineering (ICSE), Cape Town, South Africa. S. Al Azzani and R. Bahsoon(2010). Using Implied Scenarios in Security Testing. In the Proceedings of the 6th IEEE/ACM International Workshop for Software Engineering for Security Systems (SESS), in affiliation with the ACM/IEEE 32nd International Conference on Software Engineering(ICSE), Cape Town, South Africa. R. Bahsoon, L. Capra, W. Emmerich and M. E. Fayad(eds) (2010). Software Architecture and Mobility. Journal of Systems and Software (5)(2010), Elsevier Science. O. Onolaja, R. Bahsoon, G. Theodoropoulos(2010). A Conceptual Model for Dynamic Trust Monitoring using DDDAS. The 10th International Conference on Computational Science, Procedia Computer Science, ELSEVIER (ISSN: 1877-0509), Amsterdam, NL (Selection rate 30%). V. Nallur and R. Bahsoon(2010). Design of a Market-Based Mechanism for Quality Attribute Tradeoff of Services in the Cloud. In the Proceedings of the 25th ACM Symposium on Applied Computing, Cloud Computing Track, ACM Press. C. Staite, R. Bahsoon(PhD Supervisor)(2010). Secure Identity Management for Software Engineering. Doctoral Symposium. The ACM/IEEE 32nd International Conference on Software Engineering (ICSE), Cape Town, South Africa. N. Ali, R. Bahsoon, and I. Gorton (2010). The First IEEE International Workshop on Engineering Mobile Service Oriented Systems (EMSOS), in conjunction with ICWS 2010, SCC 2010, and CLOUD 2010, Miami, Florida, USA, July 5-10, 2010. With I. Duncan et al. (2010). The First IEEE International Workshop on Testing Security and Evaluating its Effectiveness, in affiliation with the Second IEEE International Conference on Information Privacy, Security, Risk and Trust (PASSAT2010) Minneapolis, Minnesota, August 20-22, 2010. F. Faniyi, R. Bahsoon(2010). Security in the Cloud. Technical Report CSR-10-04. School of Computer Science, The University of Birmingham, UK. G. Rangaraj, R. Bahsoon(2010). Market-based Approach for Managing Power in Software Architectures. Technical Report CSR-10-01. School of Computer Science, The University of Birmingham, UK. V. Nallur, R. Bahsoon, and X. Yao (2009). Self-Optimizing Architecture for Ensuring Quality Attributes in the Cloud. In the Proceedings of the 8th Working IEEE/IFIP Conference on Software Architecture (WICSA 2009), Cambridge, UK. O. Onolaja, R. Bahsoon, G. Theodoropoulos(2009). Dynamic Trust Monitoring in Mobile Architectures. In Proceedings of the 4th Int. Workshop of MObile and NEtworking Technologies for social applications (MONET09), Lecture Notes in Computer Science, Springer. C. Staite, R. Bahsoon, and S. Wolak(2009). Recommendation Systems for Service Attribute Exchange. In Proceedings of ICSOC-ServiceWave 2009, Sweden. Lecture Notes in Computer Science, Springer. (Selection rate less than 25%). S. Al Azzani and R. Bahsoon(PhD Supervisor) (2009). Semi-Automated Detection of Architectural Threats for Security Testing. In Proceedings of the doctoral symposium for ESEC/FSE Foundations of Software Engineering, Amsterdam, Netherlands. R. Bahsoon, W. Emmerich, N. Medvidovic, and M. E. Fayad(2009). The Second International ICSE Workshop on Software Architectures and Mobility, 31st Int. Conference on Software Engineering (ICSE 2009), May 2009, Vancouver, Canada. W. Ho, H. E. Higson, P. K. Dey, X. Xu and R. Bahsoon(2009). Measuring Performance of Virtual Learning Environment Systems in Higher Education. Quality Assurance in Education (17.1)(2009), Emerald. (Highly Commended Award Winner at the Literati Network Awards for Excellence 2010). R. Bahsoon and W. Emmerich (2008). Valuing Flexibility in Software Product Line Architectures. In the proceedings of Software Product Line Conference, the 2nd Int. Workshop on Management and Economics of Software Product Lines, Limerick, Ireland. IEEE Computer Society Press. R. Bahsoon, L. Capra, W. Emmerich and M. E. Fayad (eds) (2008). Proc. of the 1st Int. Workshop on Software Architectures and Mobility. ACM Press. R. Bahsoon and W. Emmerich (2008). An Example on Economics-Driven Software Mining. In Proc. of the 20th International Conference on Software and Knowledge Engineering, SEKE 2008, San Francisco, USA. L.Capra, R. Bahsoon, W.Emmerich,and M.E. Fayad(2008). The first International ICSE Workshop on Software Architectures and Mobility. In Proc. of the 30th Int. Conference on Software Engineering(ICSE 2008), Leipzig, Germany, ACM Press. S. M. Shah, N. Gul, H. F. Ahmad, and R. Bahsoon(2008). Secure Storage and Communication in J2ME Based Lightweight Multi-Agent Systems. In Agent and Multi-Agent Systems: Technologies and Applications, Lecture Notes in Computer Science, Springer. Tawil, M. Montebello, R. Bahsoon, W.A. Gray and N.J. Fiddian (2008). Interschema Correspondence Establishment in a Cooperative OWL-Based Multi-Information Server Grid Environment, Information Sciences, Elsevier Science. R. Bahsoon(2007)- Invited Talk. A Value Driven Perspective on Architectural Stability and Evolution. IBM Thomas J. Watson Research Centre, In INFORMS 2007. Nov. 2007, Seattle, WA USA. R. Bahsoon and W. Emmerich(2007). Economics-Driven Software Mining. In the ICSE 2007 Intl. Workshop on the Economics of Software and Computation (ESC 2007), May 21-27, MN, USA. M. Fayad, R. Bahsoon and C. Chiang (2007). The Second IEEE International Workshop on Software Stability at Work (SSW 2007)- in conjunction with IEEE IRI-07 Las Vegas, USA, IEEE CS, August 2007. M. Fayad, R. Bahsoon, T. Helmy and C. Chiang (2007). The Second IEEE International Workshop on Stable and Adaptive Software Architectures(SASA 2007)- in conjunction with IEEE IRI-07 Las Vegas, USA, IEEE CS August 2007. R. Bahsoon and W. Emmerich(2006). Requirements for Evaluating Architectural Stability. In the Proceedings of the ACS/IEEE International Conference on Computer Systems and Applications, Dubai, UAE, IEEE CS Press. R. Bahsoon, W. Emmerich, and J. Macke (2005). Using Real Options to Select Stable Middleware-Induced Software Architectures. IEE Proceedings Software- Special issue on relating software requirements to architectures 152(4) (2005) ISSN 1462-5970, pp. 153-167, IEE press. R. Bahsoon, A. Finkelstein, and D. Rosenblum (2005). Rippling the Impact: Restructuring the ICSE Proceedings and Beyound. London Software Systems, Dept of Computer Sc, University College London, Study circulated to the ICSE Steering Committee, Dec 2004- Jan 2005. R. Bahsoon and W. Emmerich(2004). Applying ArchOptions to value the Payoff of Refactoring. In the IEE Proceedings of the Sixth International Workshop on Economics-Driven Software Research (EDSER-6), affiliated with the 26th International Conference on Software Engineering, Edinburgh, Scotland, May 23-28. R. Bahsoon and W. Emmerich(2003). Evaluating software architectures for stability and evolution. UCL-CS Research Notes RN/03/02. N. Mansour and R. Bahsoon (2002). Reduction-based methods and metrics for selective regression testing, Information and Software Technology, 40(7) (2002), pp. 431-443, Elsevier Science. N. Mansour, R. Bahsoon, and G. Baradhi (2001). Empirical comparison of regression test selection algorithms, Systems and Software, 57 (1)(2001), pp. 79-90, Elsevier Science. R. Bahsoon and N. Mansour (2001). Methods and metrics for selective regression testing, In Proceedings of 2001 ACS/IEEE International Conference on Computer Systems and Applications, June 26-29, IEEE Press. R. Bahsoon(2005). Evaluating Architectural Stability with Real Options Theory, PhD Thesis, University College London, University of London, UK, Nov 2005. R. Bahsoon (2000). Reduction-based methods and metrics for selective regression testing, MS thesis, Lebanese American University, Beirut, Lebanon, July 2000. R. Bahsoon (1997). Studies on the environment and geography of Lebanon using GIS, BS Senior Project, Lebanese American University, Beirut, Lebanon, June 1997. Studies on the environment and geography of Lebanon using GIS, spotlighted in Good Morning Lebanon, New Television (NTV), Beirut, Lebanon, June 28, 1997. Studies on the environment and geography of Lebanon using GIS, featured in an article in the Daily Star Newspaper, Lebanon, July 1997. Invited presentations to Keele(2009), St Andrews (2007), Durham(2006); Birkbeck College, U. of London(2005), Newcastle Upon Tyne(2005), Keele(2005), SearchSpace(2003), and various talks at UCL Software Engineering Seminar Series(2001, 2002, 2003, 2004). R. Bahsoon and W. Emmerich. Tips for understanding architectural stability, CS-PhD Poster Competition, Department of Computer Science, University College London, March 3, 2002. R. Bahsoon and W. Emmerich. Predicting the stability of software architectures: the episode, CS-PhD Poster Competition, Department of Computer Science, University College London, May 1, 2003. ICSE 2004 WOW. Diagramming Weapons of Mass Construction!